Have you ever tried to make art from your dream? A dream is a succession of images, ideas, emotions, and sensations that usually occur involuntarily in the mind during certain stages of sleep. Everybody dreams. Sometimes, some of the dreams leave an impression on people, some believe in dreams as predictions of events while some dreams can be fun. Dreams can be caused by fears, so people dream what they are afraid of. In this sense this dream can be logical. Dream begins when my friend coming to me in search of his cat. As he entered the yard, he asked if I might have seen his cat. I set out to meet him, and suddenly a huge swarm of huge muskets was created around us, which were as big as a cup of coffee. They were big and gray and they were flawed uncontrolled. As I approached, I noticed something yellow who fly. I was afraid it was hornet. And he was. He landed toward me and started to hit me. I started going back home and I threw my hands all the time in the hope of releasing him. He did not give up. When I arrived at the door of my house, I wanted to run inside and slam the door. But at that moment his last attack ended with a blow to the staircase. I stopped and looked, and on the staircase stood a kind of creature, a half-reptile, a half-dragon with its wings. It was big to fit in hand and it just stood. After that scene I woke up. You got a 3.35% upvote from @postpromoter courtesy of @mightymicke! 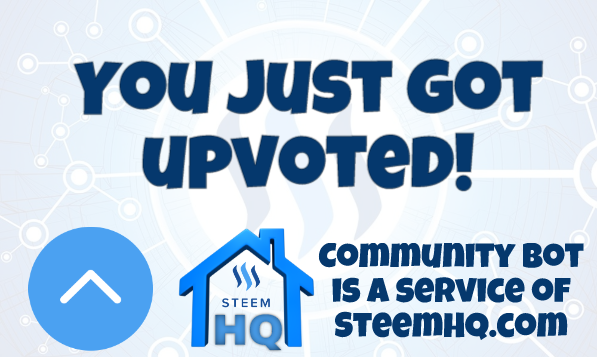 you just received a 22.01% upvote from @steemhq - Community Bot!